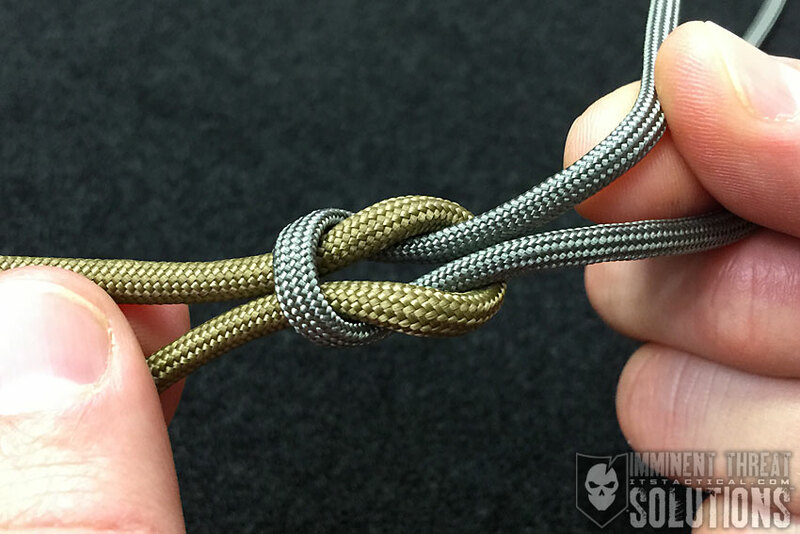 In our newest Knot of the Week, we’ll be taking a look at a way to add a leash to the lid from your Liberty Bottle so it doesn’t grow legs and walk away. One thing that I felt was missing from the US made ITS Liberty Bottles that we sell in our store, was a way to lanyard in the lid so it didn’t get lost. 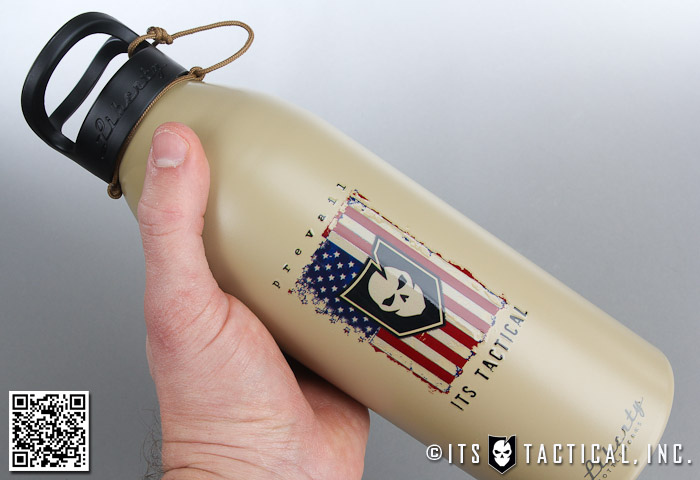 As I started taking Liberty Bottles with me while hiking and climbing, I quickly missed the ability to drink one-handed after removing the lid; which can be done with Nalgenes. 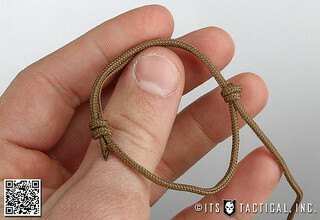 With a couple of easy knots and some Type 1 Paracord or the guts from standard Type III Paracord, you’ll be able to create your own Liberty Bottle Leash in no time! We’ll be using the Double Fisherman’s Knot and the Bowline for this Liberty Bottle Leash. 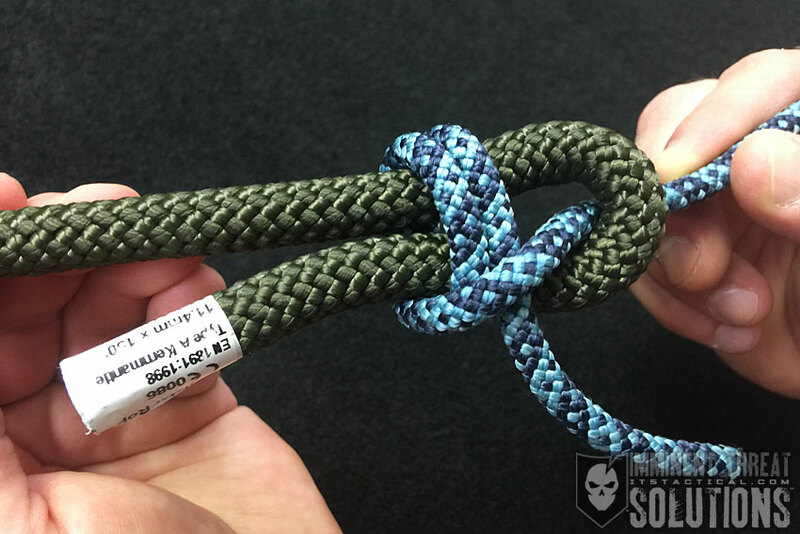 Both are knots we’ve already gone over in our Knot of the Week series and while we show them being tied in the photos and video below, for a detailed look at each knot’s tying instructions, please refer to the following articles on the Bowline and Double Fisherman’s Knot. 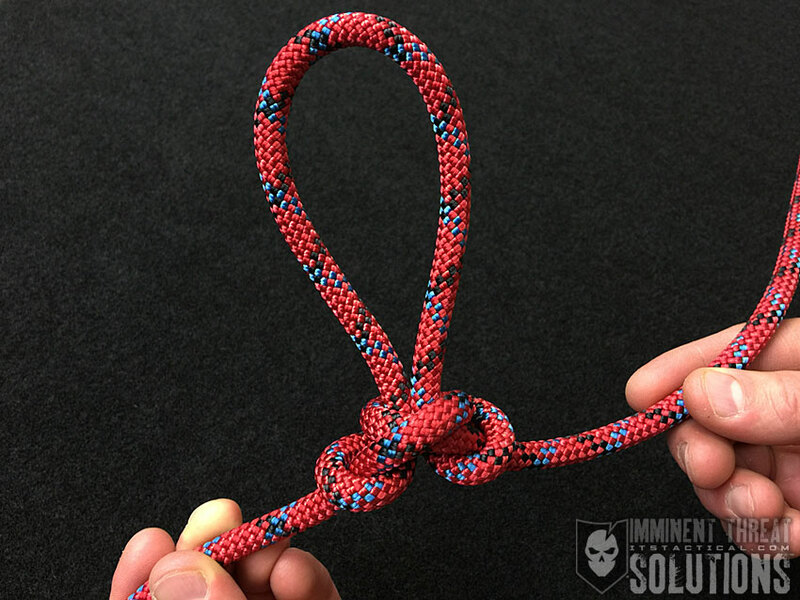 Start with a 24″ section of Type 1 Paracord, or a strand from the guts of Type III Paracord and follow along with the video or photos below. For detailed instructions on tying either the Bowline or Double Fisherman’s Knot, please refer to our articles for more info.